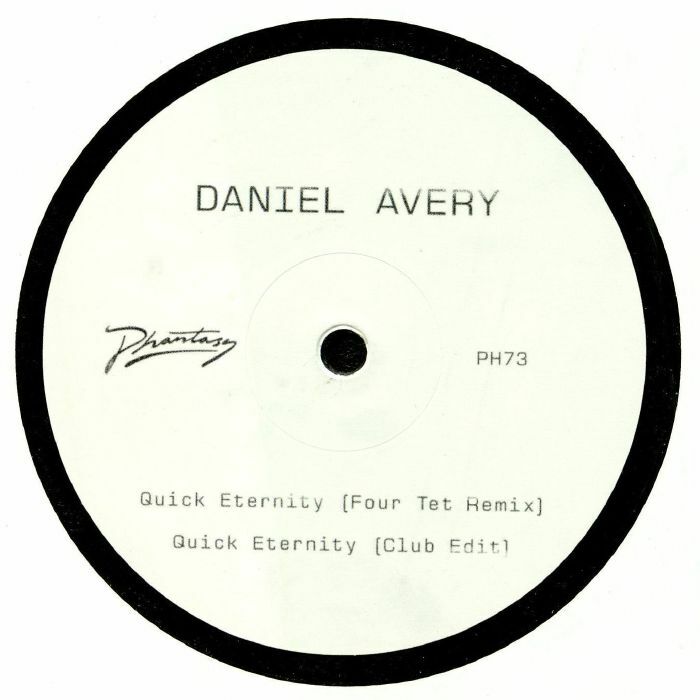 Daniel AVERY Quick Eternity (remixes) vinyl at Juno Records. 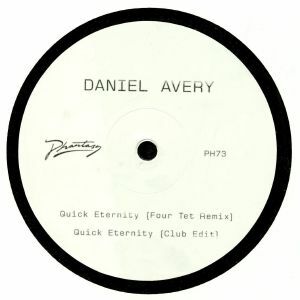 Blessed with cloudy, Aphex Twin-esque electronic orchestration and metallic percussion, "Quick Eternity" provided a fitting finale to Daniel Avery's recent album, Song For Alpha. It's little surprise, then, that Phantasy Sound boss Erol Alkan has decided to release it as a single. 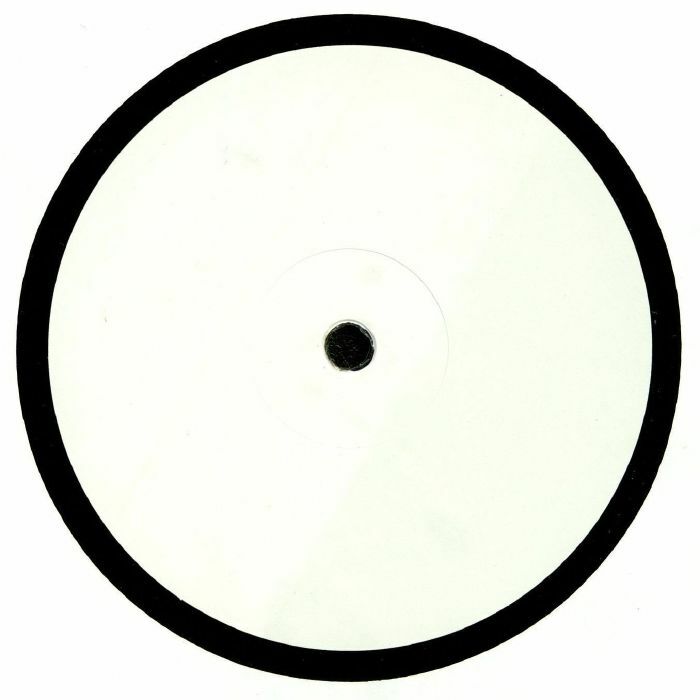 You'll find Avery's own Club Edit - a slightly more percussive and hypnotic interpretation with a DJ-friendly intro and extended, end-of-night-friendly beat-free outro - on the flipside, but it's Four Tet's headline-grabbing remix that will take the plaudits. It's a mix in two halves, with a stunningly blissful and loved-up first four five minutes (think shoulder-swinging two step beats and rush-inducing synth flourishes) making way for four minutes of percussive, wonky and psychedelic techno intensity. It really is breathlessly good.